Best Way to Brush Your Teeth to Prevent Gum Disease? Recently, The Times ran an article suggesting that dentists are confused over the best way to brush your teeth. Really? Could it really be true that “in reality dentists have no real idea of the best way to brush your teeth” to prevent gum disease, periodontal disease and other nasties? Or, worse, that the advice your parents gave you to brush twice a day is “based on habit rather than solid research”. Could it really be that the reason why nearly half of all adults in the UK suffer from some kind of gum disease is because dentists have been advising their patients wrongly? Below is a copy of the article ‘Dentist’s divided over best way to brush’ as it was run in Times, on Saturday 9th August, together with my comments, and my advice, based on over 25 years of research and clinical practice, on how best to brush your teeth to prevent gum disease and periodontits. “Some demand a circular motion, others call a 45-degree angle, and there are still partisans of the horizontal scrub. Yet in reality dentists have no real idea of the best way to brush your teeth, researchers have concluded. A range of contradictory advice is offered by dentists, governments and the makers of toothbrushes, yet there is little evidence to support any of it, scientists have said. 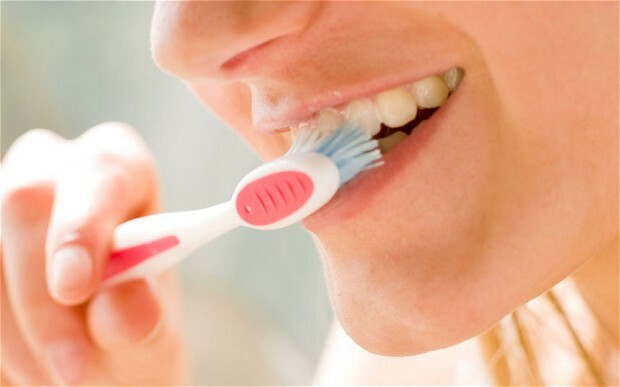 Even the advice to brush twice a day for two minutes is based on habit rather than solid research, according to scientists who surveyed dozens of studies for an article in the British Dental Journal. Professor Sheiham said that brushing after eating sweet or sugary drinks made little difference to tooth decay, and John Wainwright, who carried out the study, said ensuring toothpaste contained fluoride was more important than any brushing technique. “I advise my patients to focus their brushing on areas where plaque is most likely to collect – the biting surfaces and where the teeth and gums meet – and to use a gentle scrubbing motion,” Dr Wainwright said, adding that holding the toothbrush in a pencil grip might help to stop gums being damaged by overzealous brushing. 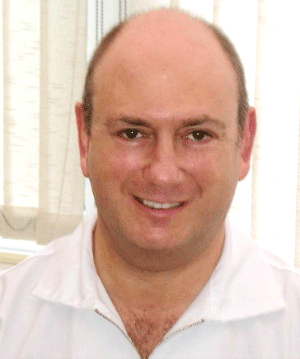 Professor Damien Walmsley, a scientific adviser to the British Dental Association, said: “No technique is superior to the other but a dental professional will check what the patient does and tweak the technique accordingly. So, are we dentists really confused about the best way to brush your teeth – Of course we’re not! In my opinion, the study by Professor Aubrey Sheiham is yet another example of academics sitting in their ivory towers spending lots of money and resources on totally irrelevant clinical research. Anyone in the real world of clinical dentistry as opposed to academia knows that people are different, their levels of manual dexterity is different, their mouths the different, and even different parts of their mouths of different. Not only that, but there are many different toothbrushes and other oral hygiene aids and there are many different ways of achieving a nice clean mouth only an academic, divorced from the reality of clinical practice could dream up the preposterous idea that there is some universal tooth brushing technique that is the best for everyone. There is no such thing as the best way to clean your teeth, any more than there is a best motorcar or a best T-shirt, or even the best dentist! The idea that one tooth brushing technique is good for everyone is simply stupid. People who suffer from gum recession need to brush their teeth in a different way to those who do not, and the secret of achieving good oral hygiene is not a matter of the best toothbrush, or the best dental floss, or the best technique, but rather it is the best combination of technique and oral hygiene aids for you which might be different to everybody else. In my own practice I recommend different techniques and different toothbrushes and different oral hygiene aids because I believe everybody is an individual and therefore need individual attention that is tailored to their needs specifically rather than assuming that what is good for Professor Aubrey Sheiham is good for the rest of us! is of course true, however, if you are suffering from any unusual symptoms or are worried about gum disease, periodontitis or are suffering from bleeding, itchy gums, why not not take advantage of my ‘Ask a dentist online‘ service? Alternatively, I offer a telephone support service, where I can discuss with your dentist, the best treatment pan for you. Please contact me for details. Previous Previous post: What Causes Periodontal Disease?